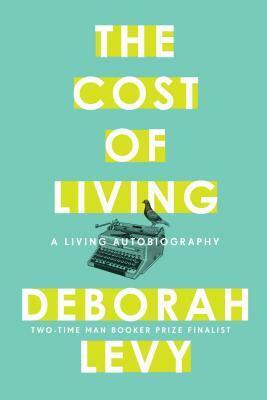 Today I am going to be talking about The Cost of Living and Things I Don’t Want to Know by Deborah Levy, from her Living Autobiography! I received this book from Penguin Random House in exchange for an honest review! 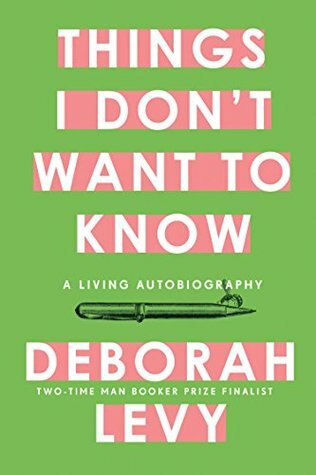 Things I Don’t Want to Know is the first in Deborah Levy’s essential three-part “living autobiography” on writing and womanhood. Taking George Orwell’s famous essay, “Why I Write”, as a jumping-off point, Deborah Levy offers her own indispensable reflections of the writing life. With wit, clarity and calm brilliance, she considers how the writer must stake claim to that contested territory as a young woman and shape it to her need. Things I Don’t Want to Know is a work of dazzling insight and deep psychological succour, from one of our most vital contemporary writers. This collection of essays is one that I found myself unable to set down! There are 4 essays in this collection that are all titled after George Orwells four motives for writing. Levy takes these four motives and uses them to tell her own stories. Throughout these essays we get to see Levy grow and share anecdotes from her life that are both interesting and unique. We see her live in different places and the situations that occurred in these places. These essays take us on Levy’s writing journey, we get to see the influences in her life that have impacted how she writes. If you are a writer then you have to pick this collection up, and if you’re not a writer, still pick it up. In this elegiac second instalment of her “living autobiography,” Deborah Levy considers what it means to live with value and meaning and pleasure. The Cost of Living is a vital and astonishing testimony, as distinctive, wide-ranging and original as Levy’s acclaimed novels. This book was one that really made me think long and hard. We see Deborah go through so many life changes, including leaving her marriage of two decades, forming new relationships with her daughters, and about reinventing her creativity. I found Deborah inspiring throughout this book. It is never easy to upend your life and make big changes, but she did so with ease without apology. I highly recommend everyone pick this piece up, it will be a book you pick up time and time again. The concepts in this novel are constantly relatable and important. That concludes my review for Things I Don’t Want to Know and The Cost of Living by Deborah Levy. Thanks for reading, don’t forget to follow my blog as well as my other social media sites!